Recently I stayed at the Roosevelt Hotel in New Orleans. What a fascinating history! Readers already know that I love the opportunity to research historic hotels for clients. It's a great place to find our ancestors, discover their lifestyles and activities, and to have a snapshot of them in a location at a specific time in history. (Our ancestors were more than census records). If you missed it, review Research Ancestors in Historic Hotel Records - Part 1. In my recent research of New Orleans historic hotels, I uncovered social histories, hotel histories, information on German settlers, bar histories and cocktail creations, while trying to identify early members of the Krewe of Venus. In 1940's, it was reported they had a secret membership, even though they sometimes did public acts. 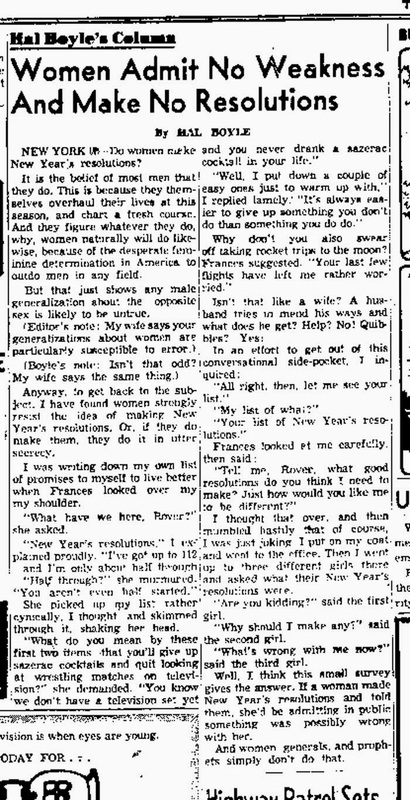 In my research findings there was a popular 1952 article (above) explaining how "women, generals, and prophets" never make New Year Resolutions. What great timing! Personally for 2015, I think I will follow these female ancestors (ignore the ridiculous female stereotypes) and save myself from making breakable New Year's Resolutions. But, I have chosen to declare the Sazerac Cocktail as the New Year's drink choice for women for 2015. The Sazerac Bar, inside the Roosevelt Hotel, is known for its exclusive Sazerac Cocktail. 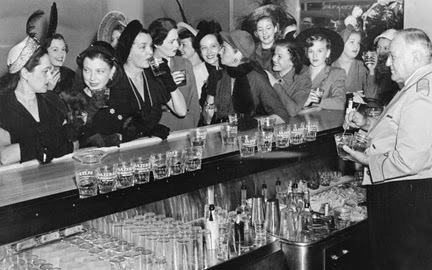 By 1950, New Orleans women were allowed to be served at the Sazerac Bar freely (begrudgingly, but freely). 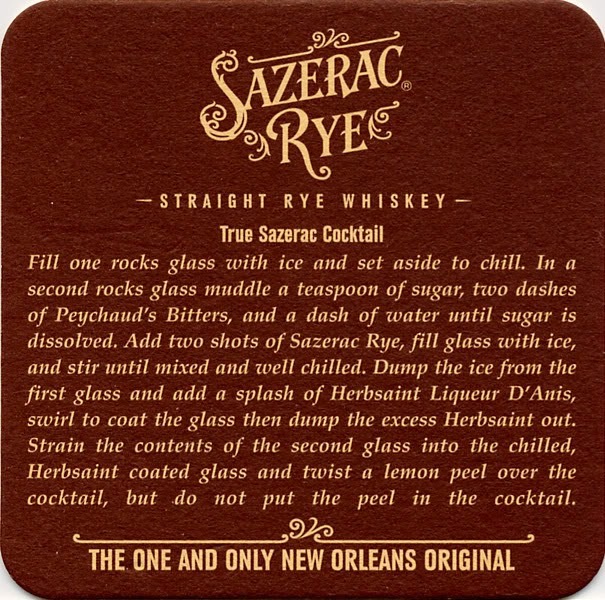 Previously, Mardi Gras was also the only day women were served in the Sazerac Bar. Mardi Gras only! But the road to opening the Sazerac's doors to women was considered one of the many "feminine invasions" of the 1940's. As early as 1941 another unpopular "feminine invasion" took place in New Orleans. The Krewe of Venus women decided "the men have been monopolizing the fun long enough" and added their float to the Mardi Gras. I offer all a3Genealogy readers a Sazerac Cocktail toast to 2015!